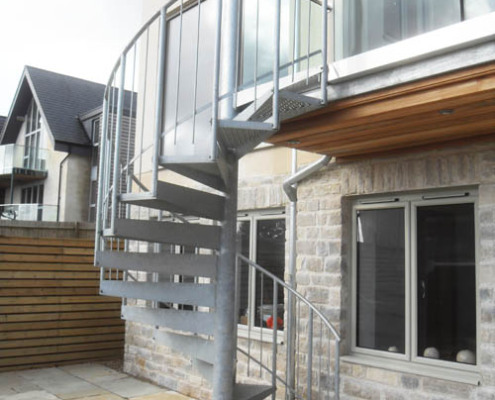 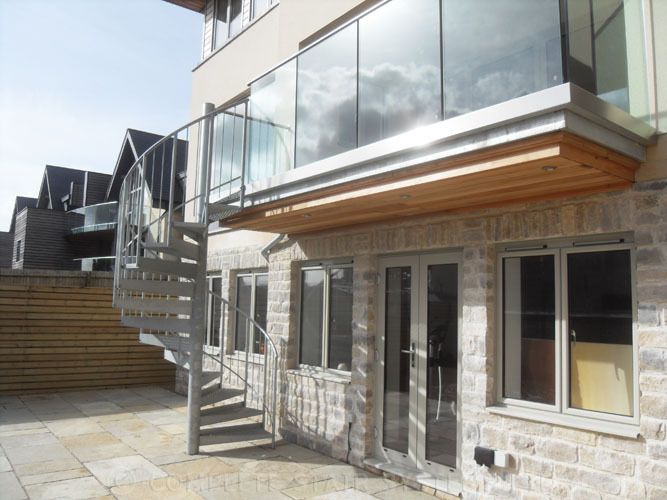 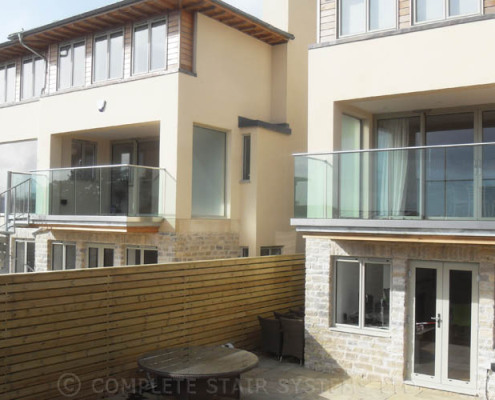 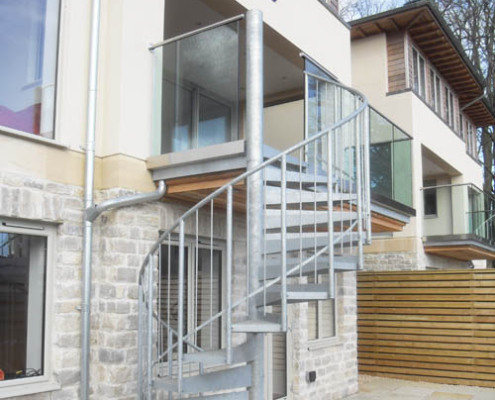 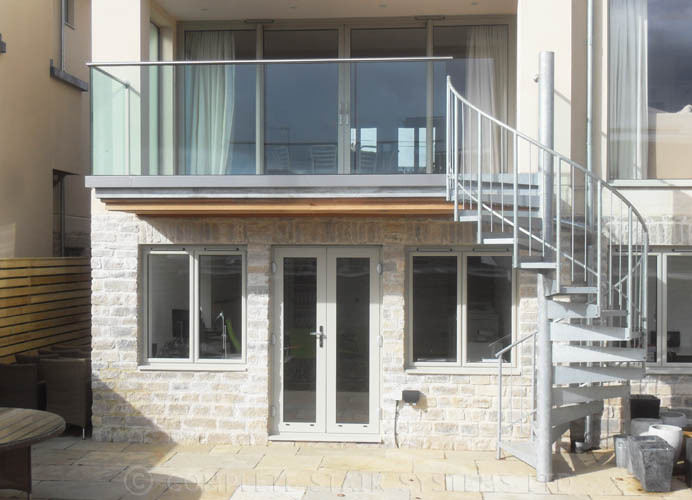 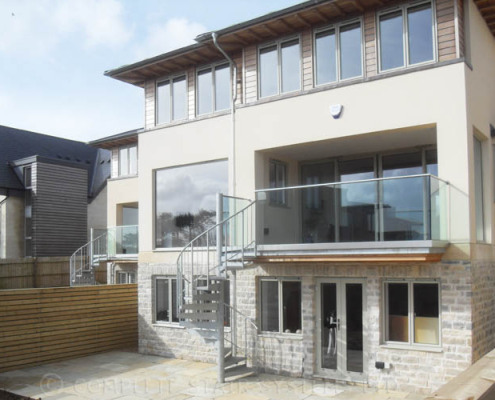 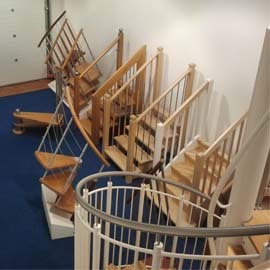 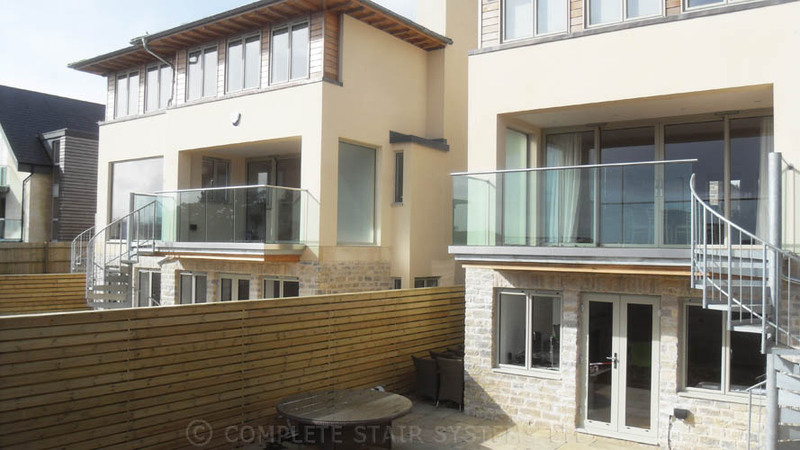 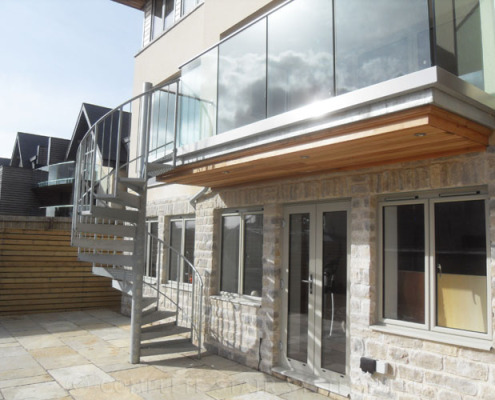 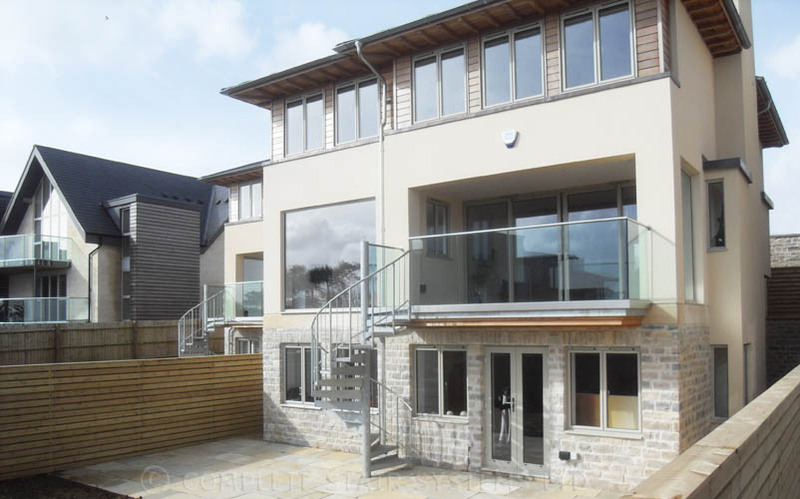 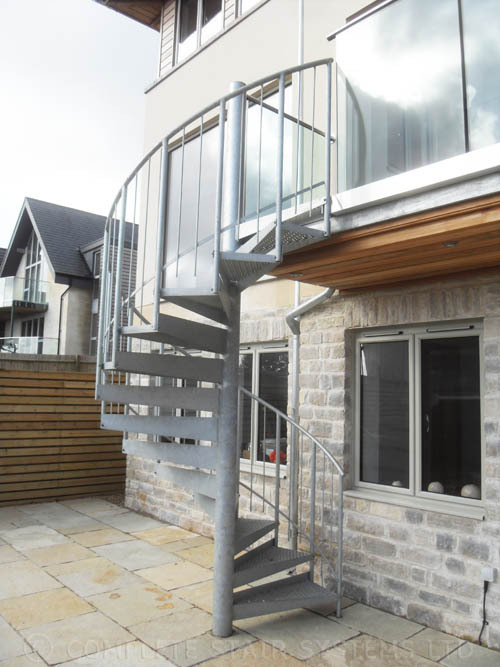 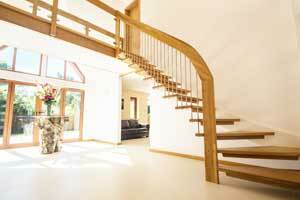 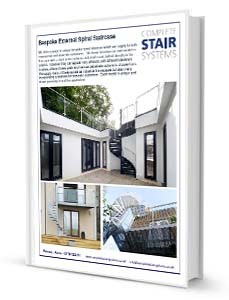 Three bespoke external spiral staircase were supplied to a property developer building three new houses in Bath. 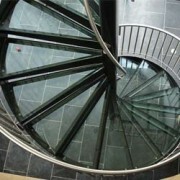 Each spiral was accessing a balcony. 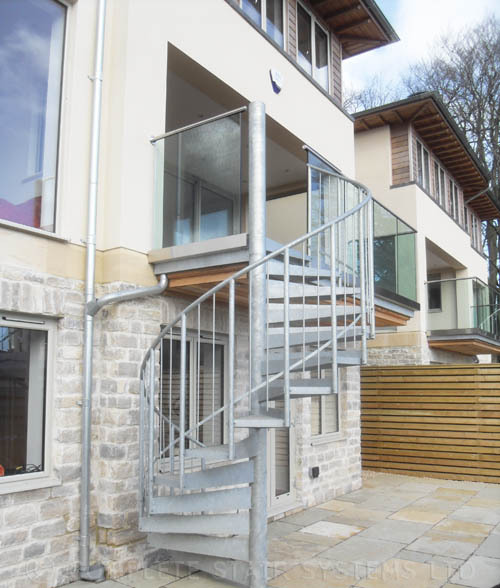 Each flight was a simple galvanised spiral staircase with non slip perforated steel treads but what made it a little more interesting was that the centre column had to support one corner of the platform. 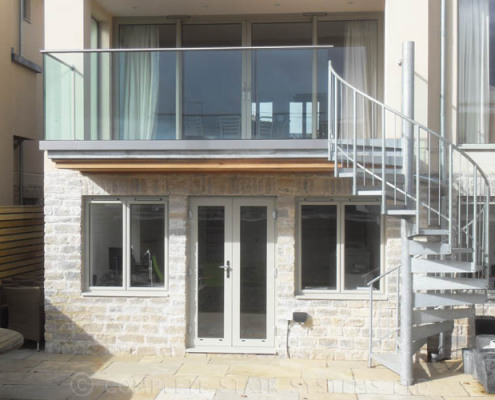 We discarded the usual top platform and welded two flanges to the centre column which then were bolted directly to he existing balcony platform. 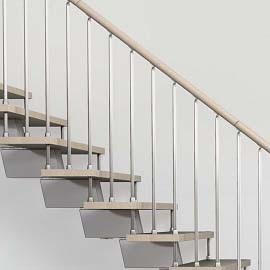 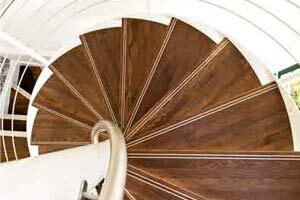 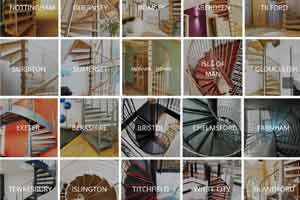 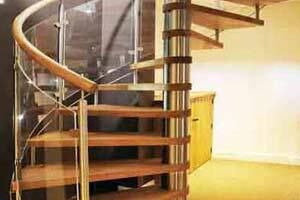 The spiral staircase had vertical steel spindles and a steel tubular handrail. 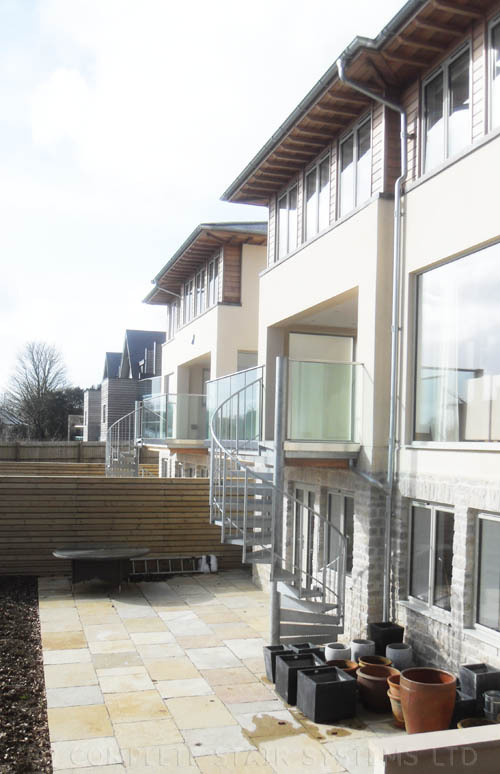 Each balcony had frameless glass balustrade for an open an transparent look. 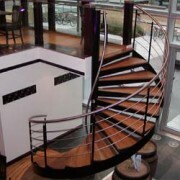 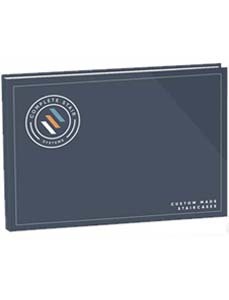 This product is a very cost effective bespoke solution. 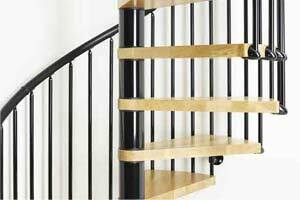 Fully drawings are prepared for each spiral produced to check entry and exit point are correct and that the headroom is sufficient. 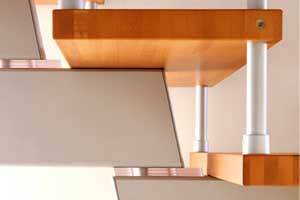 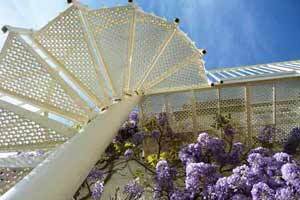 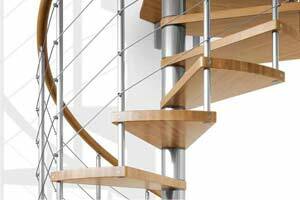 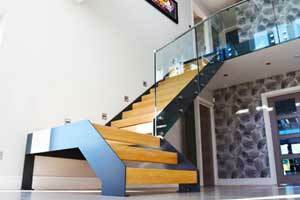 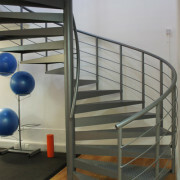 There are several tread options to choose from and the steelwork can be powder coated to any colour if required. 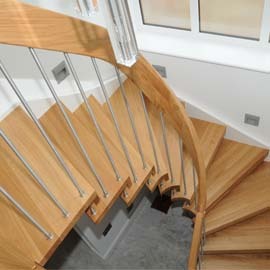 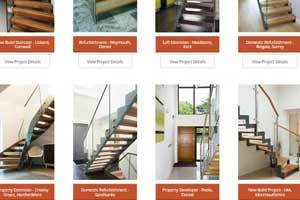 For a price for your ‘Spiral Staircase Bath’, please fill out the form below for a quotation. 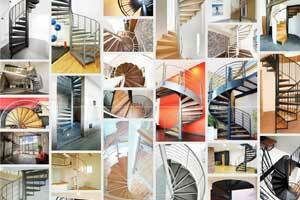 "Two of these spirals were supplied anticlockwise and one clockwise. 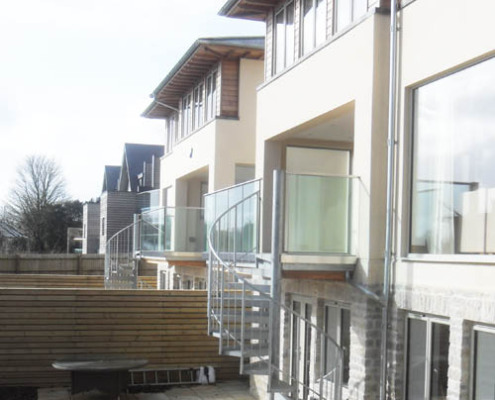 Each flight had to support the existing balcony platform so the flanges on the centre column had to be carefully sized and placed to line up with the balcony fixing"